Whatever Became of the Bantam Round Nose BRCs? 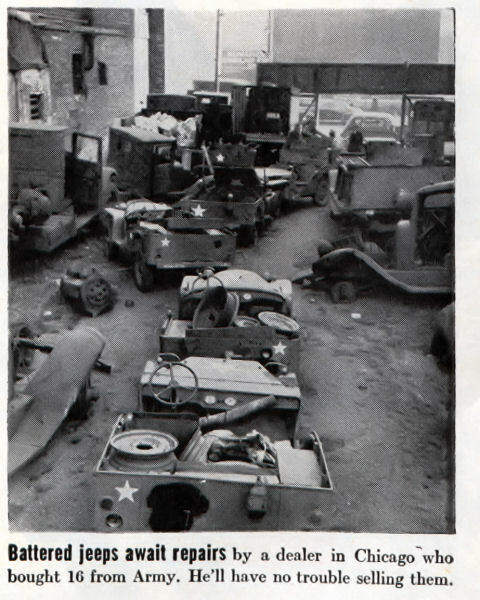 During WW2, some jeeps were surplus to US Army needs. 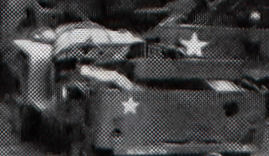 Sixteen of these surplused jeeps were sold to Berg’s in 1944. While all of the jeeps in the above picture are interesting, two really caught my eye. Bantam Round Nose BRC closeup 1 In the above close up we have a round nose BRC-60 in front of a later Bantam BRC-40. 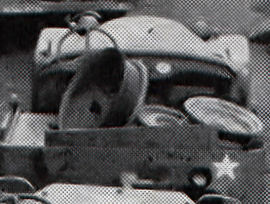 Note the rear fuel tank cap on the passenger side. Round Nose Bantam BRC closeup 2 In the above closeup, the round nose Bantam BRC-60 doesn’t appear to have a rear gas cap. Two Bantam BRC-60s (as evidenced by the above photography) survived to be sold to a dealer. In turn this dealer would have sold the jeeps. Who were these jeeps sold to? They’re out there somewhere or at least they were. Keep looking! I wonder if there are Berg records available that might tell us who the jeeps were sold to?